Margaret Furber was born in Alice Springs, Australia, in 1947. She was placed in St. Mary’s Hostel on the outskirts of town because her mother was not able to take care of her. Her siblings were all sent to the Tiwi Islands. “We were all taken and separated in different ways,” she told the photographer. Nov. 6, 2015. 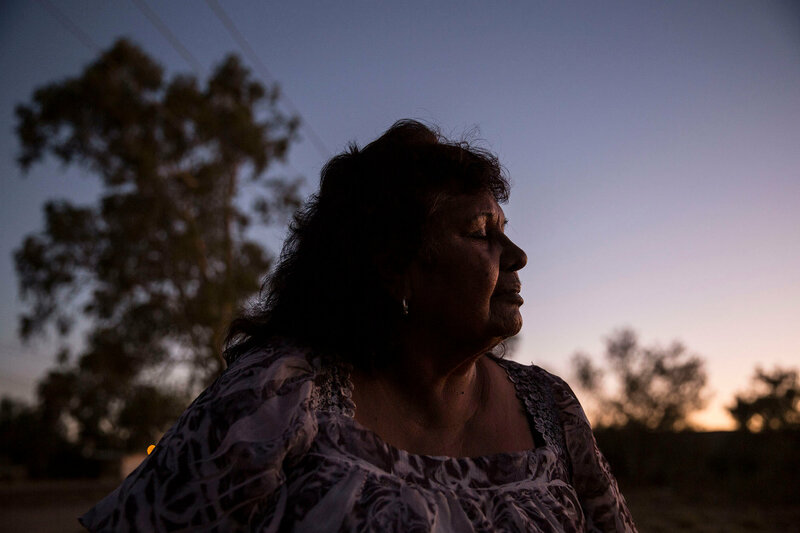 Alfred Calma was 4 years old when the police snatched him from his mother, never to live with her again. Joyce Napurrula-Schroeder was not quite 2 when it happened to her. Luke Morcom was a newborn, barely a week on this earth. All had the bad luck of being born “half caste” during Australia’s disastrous experiment with forced assimilation. For 60 years, until 1970, government policies rounded up Aboriginal and Torres Strait Islander children deemed to be part-white and sent them to boarding schools and church-run missions. Like the Canadian First Nations’ and the United States’ Indian boarding schools that served as its model, Australia’s program aimed to beat out all traces of indigenous culture, often literally. Run more like penal colonies than schools, these institutions scarred their young wards and their communities for life. As a white supremacist society, the United States privileges Dolezal’s challenging ethnoracial boundaries. 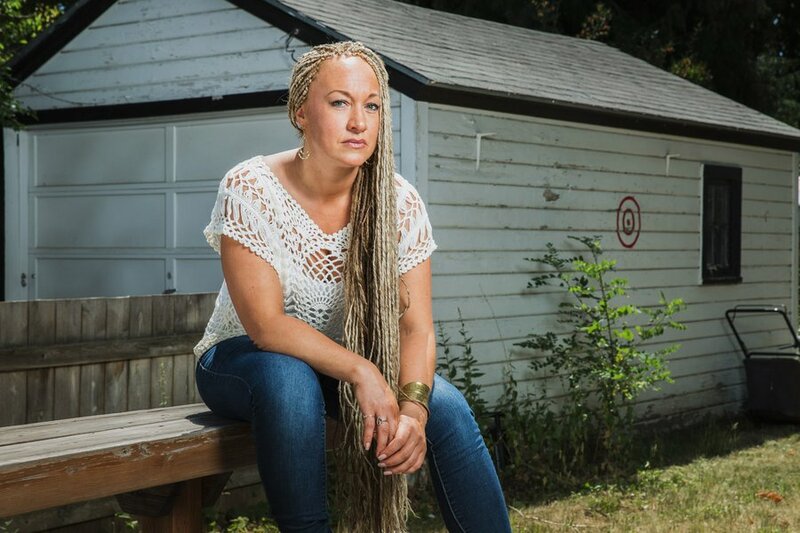 As a white supremacist society, the United States privileges [Rachel] Dolezal’s challenging ethnoracial boundaries. This is so unlike the thousands of blacks who quietly dissolved into the white population a century ago. A media stir would have cost them their lives. Even Anatole Broyard, the New York Times film critic who passed away in 1990 took his hidden blackness to the grave to be taken seriously in his career as a writer. At the same time, unlike the acceptance that many Afro-Brazilians have for their negra frustradas, many Afro-Americans find her problematic at best. Their relatives and ancestors who passed as white (or do so now) do not receive the same rewards. Instead, it has to be quiet without any fuss, for fear of upsetting the status quo. Chinyere Osuji, Ph.D., “Rachel Dolezal: ‘Negra Frustrada’ (Frustrated Black Woman),” Rutgers, The State University of New Jersey, May 24, 2017. http://chinyereosuji.camden.rutgers.edu/2017/05/24/rachel-dolezal-negra-frustrada-frustrated-black-woman/. Comments Off on As a white supremacist society, the United States privileges Dolezal’s challenging ethnoracial boundaries. 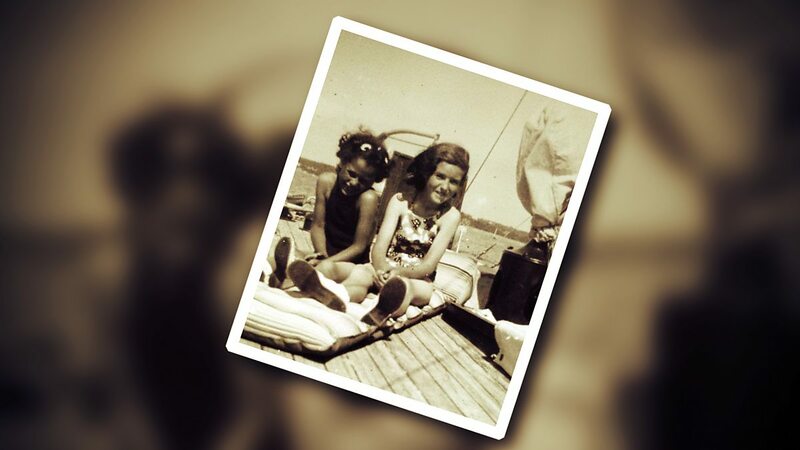 Carole Travers from Poole in Dorset is one of a number of mixed heritage children born to African-American fathers who were stationed in the UK during World War II. With their husbands away fighting the war, some women had relationships and children with them. Fiona Clampin talks to Carole who’s been trying to trace her father the whole of her adult life, and to John who is still deeply affected by his early experiences. With the Election looming, we’re in Sunderland talking to some women about the issue that most concern them. The South African playwright and theatre director Yael Farber discusses her new play Salome, at The National Theatre, a radical revision of the biblical tale. And the joys and pitfalls of going on holiday with your mum no matter what age you are. After the first African slaves arrived at Jamestown, Virginia, a population of mixed-race blacks emerged. Their masters and fellow slaves celebrated their exotic features – not quite African, but not exactly white. Ronald Hall, “Too pretty to play? Stephen Curry and the light-skinned black athlete,” The Conversation, April 30, 2017. http://theconversation.com/too-pretty-to-play-stephen-curry-and-the-light-skinned-black-athlete-76638. Comments Off on After the first African slaves arrived at Jamestown, Virginia, a population of mixed-race blacks emerged. Their masters and fellow slaves celebrated their exotic features – not quite African, but not exactly white. 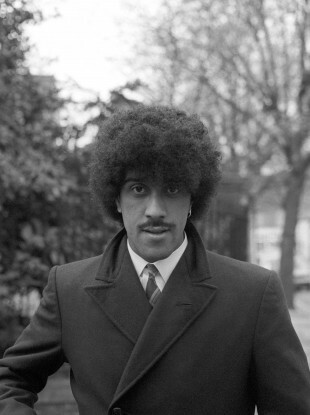 PRODUCERS ARE LOOKING for someone to play the part of Phil Lynott on the big screen. An open casting is being held in Dublin this afternoon for an actor/musician/singer, aged 18 – 35, to play the part of Lynott in a feature documentary about his rise to stardom. Race is a social construction. We have heard that phrase over and over again to the point that it has become a bit hackneyed. When I teach my sociology students, I tell them, “Sociologists study what people do together: we create families, schools, economic systems.” All of these things are social constructions that are produced, reproduced, and even demolished because people together make it so. 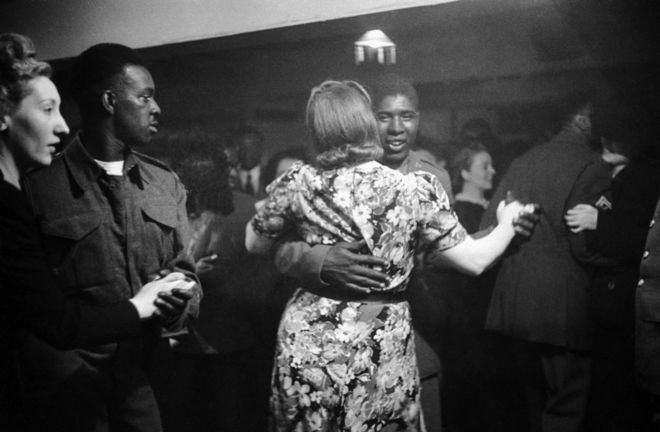 About 100,000 black GIs were stationed in the UK during the war. Inevitably there were love affairs, but US laws usually prevented black servicemen from marrying. So what happened to the children they fathered? Fiona Clampin met two such children in Dorset, now in their seventies, who have not given up hope of tracing their fathers. The possibility of Carole tracking down her father becomes more and more remote by the day. Born towards the end of World War Two, Carole, now 72, was the result of a relationship between her white mother and a married African-American or mixed-race soldier stationed in Poole, in Dorset. Whereas some “brown babies” (as the children of black GIs were known in the press) were put up for adoption, Carole’s mother, Eleanor Reid, decided to keep her child. The only problem was, she was already married, with a daughter, to a Scot with pale skin and red hair. In her 15 years at the University of Michigan, History Prof. Martha Jones has invested much of herself into the campus community — and the return has not disappointed. As a co-director of the Law School’s program in Race, Law and History, former associate chair of the Department of Afroamerican and African Studies and, most recently this winter, her work as a Presidential Bicentennial professor with the landmark Stumbling Blocks exhibit — Jones has become somewhat of a stalwart in convening campus around issues of race and social justice.